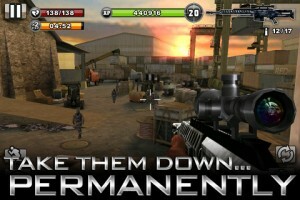 Any Cheats Codes for Contract Killer iPod Touch App Game? Glu Mobile, that is famous for releasing plant propagation and farming games has finally come out of its shell and decided to make its venture in the violent world, with Contract Killer Game for iPod Touch. Let’s check on how this game will rock your sniping instinct. 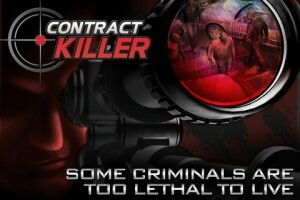 Those who love shooting and killing people should try their hands on this Contract Killer game on their iPod Touch. Of course I don’t want to promote violence here. What I am trying to say is that you have another option when you’re tired, bored, and upset, and you want to shoot someone else’s head. 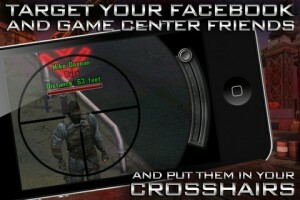 Contract Killer game for iPod Touch is a first-person game wherein the gamer will act as a sniper. When you’re a fun of a first-person shooting spree game, Contract Killer might probably work for you. 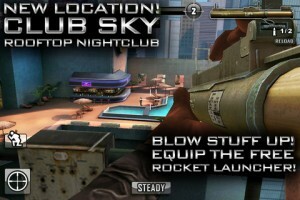 The game includes missions that you need to complete. You will be going into battle with two weapons: one assigned weapon and another weapon of your selection. The challenge of the game is that you don’t always kill. There are missions that require you to just tranquilize your enemy. It’s great to know that you won’t be killing the whole part of the game. READ FarmVille App for iPod Touch Not Only Free, But Updated Too! The graphics of the game is not that quite outstanding, but it will still entertain you during your boring days. The fact that you will be playing it on your iPod Touch is maybe convenient and handy. The sound is not so outstanding, but enough to make you feel the real setting of the game. The controls are good and responsive, and I don’t have issues on it so far. It goes smoothly on my iPod Touch. Talking about lapses, Contract Killer game app for iPod Touch, iphone and ipad seldom changes the settings and venue of the game. This can be boring for those who have adventurous minds and hunger for conquest and different scenes. The missions are also locked with just killing and subduing you’re the opponents. Still, this game is worth-spending one hour of your time. This is also free so there’s nothing to lose. You could download this cool game for free from iTunes Apps Store Here. Well we do not offer any Contract Killer ipod touch cheat codes here, but if you get stuck with the game and really need cheat codes for this game, then you could find them here.